Both times, I found myself wondering what the hell Romney was talking about. I don't mean that in the rhetorical sense. I mean literally I had no idea what the phrase “trickle-down government” was supposed to mean. How is “trickle-down government” different from, well, government? The phrase appears within the AP reporter’s paraphrase of the L.A. Olympic committee’s argument (perhaps made by Ueberroth, perhaps made by someone else, but certainly consistent with what Ueberroth is quoted saying in the story) that $88 million in previously-unacknowledged federal subsidies for the games would be money well spent. The committee, AP reported, “has countered [arguments that U.S. taxpayers were getting ripped off] that the Games will generate millions in direct taxes and indirect, trickle-down government revenues.” In this context, then, “trickle-down government” is shorthand for government spending that has a stimulative multiplier effect on private-sector economic growth. Romney’s 2002 Salt Lake City Olympics, incidentally, ended up costing the federal government $342 million, which (after inflation) was two and a quarter times as much trickle-down government Keynesian stimulus as the $88 million described in the 1984 story. New York and other older cities are suffering the most from the “trickle down” of government responsibility from the federal to the local level, notes Rae Rosen, an economist with the Federal Home Loan Bank of New York. On top of everything else, city residents must now put up with tax increases and cutbacks in services and the “privatization of services” they used to take for granted, such as public schools, neighborhood security and even mail delivery. In other words, after paying more for less government, New Yorkers must shell out even more to live here. When your states are loaded up with new responsibilities and no way to pay for them, they usually play bucket brigade themselves and dump hand-me-down mandates on the counties and municipalities. For example, I spoke Friday night in Rensselaer County, New York. In that country, almost 88 percent of the county budget is driven by state mandate, many of which are thoughtfully passed along from the federal hand-offs. That you might describe as trickle-down government at its worst. Some have even called it trickle-on. 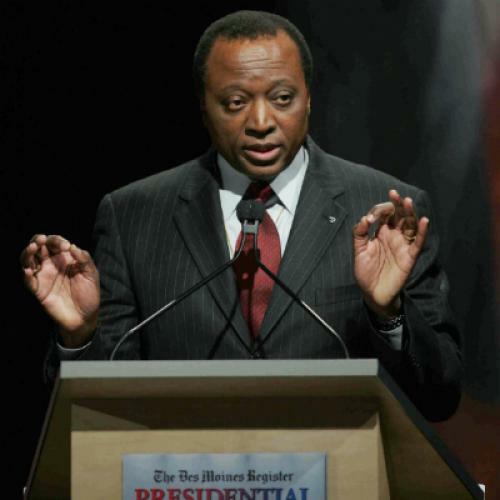 The first attributed usage of the term “trickle-down government” in something like the way Romney seems to mean is in 1988, when the perpetually unsuccessful Republican political candidate Alan Keyes used it against Maryland Sen. Paul Sarbanes, against whom he was running, in a political debate. “Keyes said Sarbanes wants a form of trickle down government,” Robert Barnes reported in the Washington Post, “where power is vested in big government and the benefits filter down ‘through an intolerably complicated system’ to reach those at the bottom.” While Barnes does not put “trickle-down government” in quotation marks, it seems probable from the context that Keyes used that phrase or something very like it in the debate. So I’m going to go out on a limb here and attribute the coinage of “trickle-down government” in the sense Romney means it (whatever that may be) to Keyes. Keyes, of course, would go on to lose a Senate race 16 years later, in the entirely different state of Illinois, to Barack Obama. I find no evidence that Clinton ever uttered the phrase again (though Vice President Gore would later make use of it in his “reinventing government” crusade), but the 1992 Republican party platform said, “The Democrats are trapped in their compact with the ideology of trickle-down government, but they’re clever enough to know that the voters would shun them if their true markings were revealed.” This was a prelude to celebrating America’s “rendezvous with destiny in 1980. Faced with crisis at home and abroad, Americans turned to Republican leadership in the White House. Presidents Reagan and Bush turned our Nation away from the path of over-taxation....” Some would call that trickle-down economics. In that year's vice-presidential debate, Al Gore asked Dan Quayle, “How much longer will it take, Dan, for trickle-down economics to work in your theory?” Quayle replied: “Well, you—we’re going to have plenty of time to talk about trickle-down government, which you’re for.” I'm rubber, you’re glue, bounce off me and stick to you! A similar exchange subsequently occurred in a presidential debate between Clinton and George H.W. Bush. “My plan is a departure from trickle-down economics,” Clinton said. “I don’t believe trickle-down economics will work.” The elocutionally-challenged Poppy Bush replied, “He doesn't like trickle-down government, [he meant “trickle-down economics”] but hey, I think he’s talking about the Reagan-Bush years where we created 15 million jobs....What I don’t like is trickle-down government [second time’s the charm]. I think Governor Clinton keeps talking about trickle-down, trickle-down, and he’s still talking about spending more and taxing more.” Bush apparently liked the phrase “trickle-down government” a lot, because from then on he used it frequently on the campaign trail. Eventually, of course, Bush lost. After that, the phrase fell mostly into misuse until Romney revived it earlier this month. To the very minor extent that “trickle-down government” has any meaning at all, it’s shorthand for the argument, “Government spending doesn’t stimulate the economy.” But even that is just a reflexive attempt to neutralize the argument (backed by powerful evidence) that tax cuts for rich people don't stimulate the economy. Indeed, to whatever extent they exacerbate income inequality, the growing consensus is that they may harm it. The idea that government spending doesn't help the economy contradicts a pretty sturdy consensus among economists (including, according to Paul Krugman, at least two of Romney’s own economic advisers, Greg Mankiw of Harvard and Glenn Hubbard of Columbia) that government spending does indeed stimulate the economy, just like John Maynard Keynes said. Indeed, in times of economic crisis government spending (along with Fed monetary policy, which the president and Congress don’t control) is just about the only tool the government has at its disposal. Romney claims not to believe this. But if he really doesn’t believe it, where is his apology for wasting the government's money at the 2002 Winter Olympics?